Partners is a sexual utopia, offering relaxation and fun in a relaxed atmosphere where you can explore all of your desires and fantasies in a sensual environment. The venue consists of a number of different spaces, each with its own theme and atmosphere. 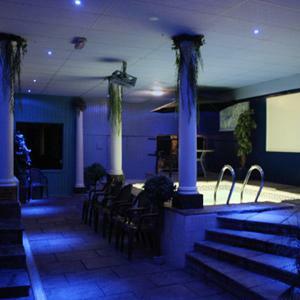 Swimming pool, sauna, and play rooms are just a few of the places to enjoy yourself with your partner(s). Fetish event: The Kage Club -- A Cathedral of Deviance. Conveniently located in a quiet suburb of Bury, Greater Manchester, 1 mile from the town centre.